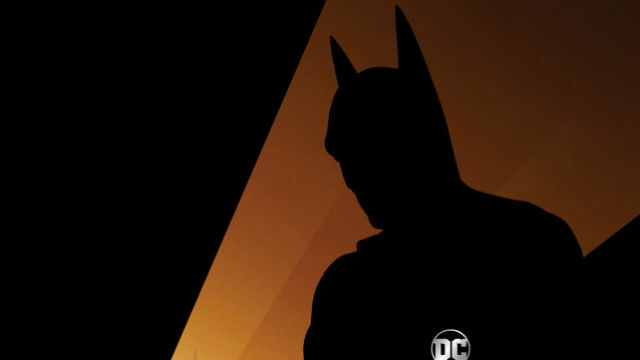 The festivities surrounding Batman’s 80th anniversary continue. This week, Warner Bros. announced that 4K remasters of Tim Burton and Joel Schumacher’s Batman films are arriving this summer. But for anyone wanting to relive the theatrical experience of watching the movies, Fathom Events has you covered. Next month, Fathom is bringing four of the Dark Knight’s cinematic adventures back to the big screen. According to a press release, each movie will screen for one day only at over 600 locations across the country. Via ComicBook.com, the films will get two showings per day. Batman and Batman Forever will screen at 1pm and 4pm, while Batman Returns and Batman & Robin will screen at 4pm and 7pm. To check to see if your local theater is participating in the event, visit Fathom Events’ official website. Fathom most recently teamed up with Warner Bros. for a theatrical showing of two DC animated features: The Death of Superman and Reign of the Supermen. 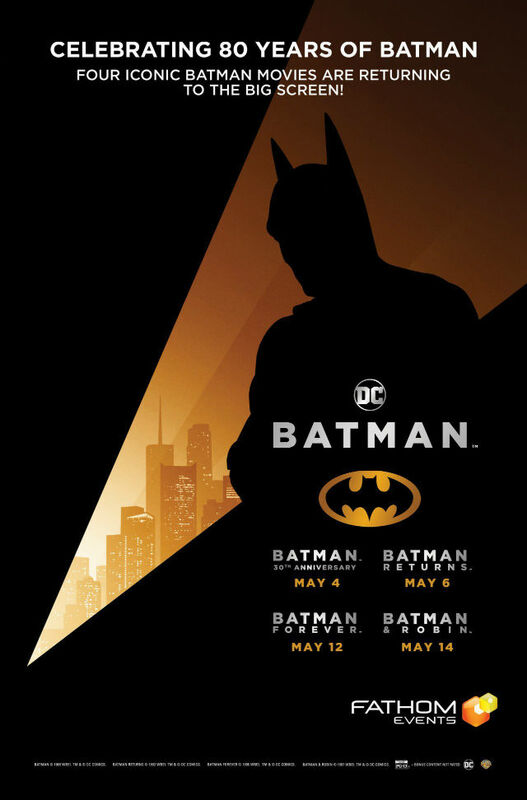 Additionally, the company has also presented screenings of Batman: Mask of the Phantasm, Superman, and Batman: The Killing Joke. Christopher Nolan’s Dark Knight trilogy is also getting limited screenings in a few cities. You can check out a poster for the event that lists the dates for all the screenings below. Are you excited to revisit any of the classing Batman films on the big screen? Tell us what you think in the comment section!